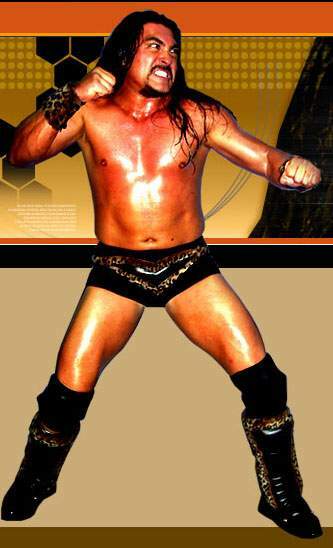 February 5, 2005- All Pro Wrestling: Kafu battled Antonio Maestre’ to a Double Countout..
February 19, 2005- All Pro Wrestling: Kafu defeated Cheerleader Melissa..
June 11, 2005–All Pro Wrestling: Kafu defeated Nate Rulez to win Universal title..
June 24, 2005–All Pro Wrestling: Kafu won gauntlet over Drunken Irishman, Benjamin Stewart, Derek Sanders and Great Tenchi..
August 6, 2005–All Pro Wrestling: Raven defeated Kafu..
October 22, 2005–All Pro Wrestling: Kafu defeated Derek Sanders..
November 12, 2005–APW Thanksgiving Thunder: Kafu defeated Vic Grimes..
November 18, 2005–Wrestling Witness Ministry: Kafu defeated The Great Tenshi..
December 3, 2005–All Pro Wrestling: Derrek Sanders defeated Kafu with help from Sandman (surprise appearance)..
January 28, 2006–All Pro Wrestling: Derek Sanders & Kyu Ketsuke & Kid Omega beat Vennis DeMarco & Chris Colioni & Kafu..
March 25, 2006–APW Gym Wars: Kafu & Black defeated Vic Grimes & Derek Sanders..
April 9, 2006–NWA Pro: J.J. Perez & Kafu defeated Thet Plague & Derek Sanders..
April 30, 2006–NWA Pro: Kafu & Skulcrusher defeated Plague & Hannibal..
May 7, 2006–NWA Pro: Kafu defeated Plague..
April 1, 2006–APW Gym Wars: Billy Blade & Kafu defeated Derek Sanders & The Sandman in a Tables Match ! June 24, 2006–All Pro Wrestling: Rodney Mack defeated Kafu in San Francisco, California ..
June 25, 2006–NWA Pro: Kafu defeated Plague..
September 22, 2006–NWA Pro: Babi Slymm & Kafu defeated Colt Cabana & Plague in Las Vegas, Nevada..
October 14, 2006–All Pro Wrestling: Kafu defeated Dana Lee to win the Universal title..
December 2, 2006–APW: Kafu & Jason X w/Roland Alexander vs Mr. Prime Time & Oliver John ended in a No Contest..
January 7, 2007–WORLD-1 King’s Cup: Alex Law w/Marcus Dowling vs Kafu ended in a Double Countout (1st Round)..
January 20, 2007–All Pro Wrestling: KAFU defeated Jim “The Anvil” Neidhart by DQ in Bakersfield, California..
February 10, 2007–APW: Kafu w/Roland Alexander beat Nate Rulez w/Johnny LaRocca by DQ to retain the Universal Title..
March 24, 2007–All Pro Wrestling: Oliver John defeated KAFU in Bakersfield, California..
April 14, 2007–All Pro Wrestling: Oliver John defeated KAFU in Hayward, California..
June 23, 2007–All Pro Wrestling: “The Brazilian Beast” Kafu defeated Gangrel in Bakersfield, California..
July 24, 2007–ECW on Sci Fi: Big Daddy V. w/Matt Striker defeated Jimmy Cruz & Victor Calveo..
August 11, 2007–All Pro Wrestling: “The Brazilian Beast” Kafu defeated Luster The Legend in Hayward, California ..
September 22, 2007–All Pro Wrestling: “The Brazilian Beast” Kafu defeated Chris Colione by Disqualification..
November 10, 2007–All American Championship Wrestling: Oliver John w/Tommy D. defeated Kafu w/General Skandar Akbar..
February 19, 2008 FCW: Kafu & Sheamus defeated Christopher Gray & Tommy Taylor (w/British legend Dave Taylor)..
February 23, 2008 FCW: Nic Nemeth & Brad Allen defeated Sheamus & Kafu in a elimination match tournament..
March 4, 2008 FCW: Sheamus & Kafu defeated Greg Jackson & Bryan Kelly..
March 11, 2008 FCW: Johnny Curtis & Shawn Spears defeated Kafu & Sinn Bowdee by DQ..
April 15, 2008 FCW: Kafu & Sinn Bowdee defeated Heath Miller & Jack Gabriel..
May 3, 2008 FCW: Johnny Curtis & Bryan Kelly & Gabe Tuft defeated Andrew Vein & Sinn Bowdee & Kafu..
June 3, 2008 FCW: Kafu defeated Andrew Vein..
June 17, 2008 FCW: Kafu w/Daisy defeated Wildcat Chris Harris..
July 12, 2008 FCW: Mike Kruel defeated Kafu (w/Daisy, who turned on Kafu and low-blowed him allowing Kruel to win)..
August 2, 2008 FCW: Sheamus O’Shaunessy b Kafu..
August 9, 2008 FCW: Johnny Prime & Kafu defeated Jack Gabriel & Ian Richardson..
August 16, 2008 FCW: Johnny Prime & Kafu defeated Sinn Bowdee & Tyrone Jones..
August 26, 2008 FCW: Drew McIntyre & Jack Gabriel defeated Kafu & Kevin Kiley..
September 2, 2008 FCW: Black Pain (with Bryan Kelly) defeated Kafu..
September 9, 2008 FCW: DH Smith & TJ Wilson defeated Kafu & Lupe Martinez..
September 23, 2008 FCW: Kafu defeated Ian Richardson..
September 30, 2008 FCW: Tyson Tarver (Tyrone Evans) vs. Kafu after Byron Saxton (Bryan Kelly) interfering..
October 8, 2008 FCW: Ricky Ortiz & TJ Wilson & Johnny Prime defeated Kafu & Drew McIntryer & Brian Kelly..
October 10, 2008 FCW: Scotty Goldman & Chris Logan defeated Kafu & Black Pain w/Brian Kelly..
October 16, 2008 FCW: Tyrone Jones defeated Kafu..
October 23, 2008 FCW: Stu Bennett & Black Pain w/Brian Kelly defeated Kafu & Ricky Ortiz..
October 25, 2008 FCW: Black Pain vs Kafu is either a No Contest or Kafu wins by DQ..
October 28, 2008 FCW: Byron Saxton & Black Pain defeated Titan & Kafu by DQ..
October 30, 2008 FCW: Stu Sanders & Black Pain w/ Byron Saxton defeated Kafu & Johnny Prime..
October 30, 2008 FCW: Kafu & Johnny Prime defeated Sin Bowdee & Tyson Tarver..
November 6, 2008 FCW: Johnny Curtis defeated Black Pain..
~~~~Stu Sanders & Tyson Tarver attacked Curtis after the match until Kafu made the save..
November 13, 2008 FCW: Lawrence Knight & Tyson Tarver & Armando Estrada defeated Kafu & Yamamoto & Johnny Prime..
November 20, 2008 FCW: Drew McIntyre defeated Kafu..
December 4, 2008 FCW: Kafu defeated Kaleb ONeal and Chris Logan and Mike Kruel in a 4-WAY match..
December 11, 2008 FCW: Dolph Ziggler defeated Kafu..
December 18, 2008 FCW: Sheamus defeated Kafu, Yamamoto defeated Kafu..
January 22, 2009 FCW: Alex Riley defeated Kafu..
January 29, 2009 FCW: Kafu & P.J. Black defeated Lupe Santiago & Yoshimatsu..
January 31, 2009 FCW: Kafu & Lupe Santiago defeated Cayden Croft & Trent Barretta..
February 5, 2009 FCW: Ryback & Sheamus O’Shaunessy defeated Kafu & Lupe Santiago..
February 19, 2009 FCW: Ryan Braddock defeated Kafu..
March 13, 2009 FCW: Kafu defeated Derek Bateman (Michael Hutter)..
March 26, 2009 FCW: Kafu & Sweet Papi Sanchez defeated Dylan Klein & Derrick Bateman..
April 2, 2009 FCW: Kris Logan defeated Kafu..
April 9, 2009 FCW: Kafu & Sweet Papi Sanchez defeated Dylan Klein & Troy Jackman..
May 7, 2009 FCW: Kafu defeated Mr. Tarver..
May 14, 2009 FCW: Caylen Croft defeated Kafu..
June 6, 2009: Kafu was released from his World Wrestling Entertainment developmental contract..